AFL is my thing – I’ve loved it as long as I can remember. Being a Hawthorn fan, it was easy to love what happened on the field and for years that was enough. But the longer I have lived, the more that love has been complicated, fraught and frequently challenged. It’s complicated by every instance of sexist, homophobic, or racist behaviour by players, officials, clubs. It’s challenged by the too frequent allegations of domestic abuse, drunken assaults, and gratuitous on and off field violence. It becomes fraught because of the seemingly impenetrable boys’ club that has too often clouded truth, undermined victims, shut down justice and any perception of fairness. It’s tested by the consistent inequality in clubs between how Indigenous men are treated, compared to their non-Indigenous counterparts. How women are paid, compared to men. But just when I think it’s all over between footy and me, just when I’m ready to file for divorce or a trial separation, something happens so filled with joy, so powerful in what it represents, that I end up falling in love all over again. The most recent of these was just a few weeks before I sat down to write this article, when I saw a thing I never thought I’d see. 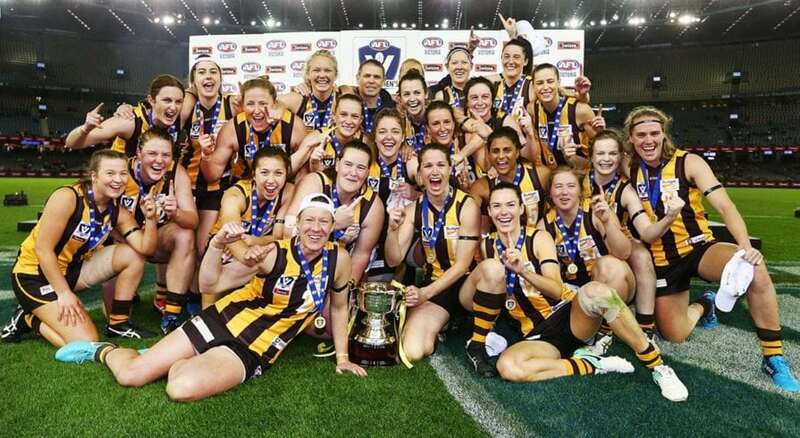 It was the VFLW Grand Final, and men, women, children of every background and culture were hailing the success of another Hawthorn Premiership. But this time, the winners were women. I watched as these incredible athletes held the premiership cup aloft and sang the song I love too hard, and I was reminded how important sport is to how we feel about ourselves and each other. And how intrinsic inclusion, equality and respect are in this connection. This is what great clubs strive for. Not the token nod to “letting the girls join in” but a full celebration of their successes, and a passionate and committed recognition of their losses. This is the future. And it’s happening right now. For this woman who was never allowed to even play the game, it has been a source of breathtaking empowerment. 500,000 girls and women play AFL. Add in the more than one million boys who play, and we begin to see the scale of sporting involvement. Broaden this to include all sport, players and non-players, and the number increases exponentially. More than a quarter of the Australian population of adults is involved in organised sport, plus an estimated 60 percent of Australian children. That’s why sport matters. The size, the number, but also what it represents. Sports clubs are microcosms of society. They are hubs, centres, connectors. In many small towns, they’re the very heart of the community, and for many people, their only social outlet. 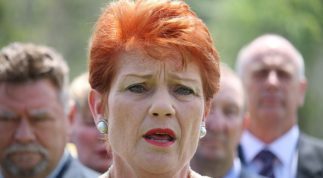 How clubs function matters – how they’re run reflects how a community feels. Sport is about rules designed to ensure fairness. It is intended to test us, measure us, build us, and challenge us – by pitting us against worthy opponents, and by pitting us against ourselves – to be our best version, and to bring out the best in each other. We might tell ourselves sport is about winning but if that were true, fans would have given up on Saint Kilda decades ago. We’d never return to the soccer pitch after that 0-8 drubbing. We wouldn’t drive 45 km each way just to get 10 minutes of game time. We wouldn’t bother playing friendlies, or practice matches, or scratch games in our backyards. We’d never try a new sport or learn a new position. We don’t go back week after week, season after season, to stand in the bitter, rainy cold, or the dry, endless heat, wake at the crack of dawn or give up our weekends entirely because we covet that medal, or trophy, or record. We value those things, yes, but most of the time, that’s not what’s in play. Winning is great, but it’s not everything. It’s one part of a much bigger picture. We play sport for each other. To belong. To be part of something larger and better. So while I relished every glorious minute of seeing women in brown and gold clutch the premiership cup, my greatest joy of the many this team has gifted me, has been the opportunity to meet these women, their families, the coaches, the administrators, the supporters, the endless stream of diehard fans, all of them committed to inclusion and equality, all of them fighting the good fight through the vehicle they love most – footy. Sport is more than a game. It’s culture. It’s society. It’s life. Inclusion, equality, respect are not optional extras. They are our very why. Sporting clubs need to reflect these same values if they’re going to remain relevant and continue to grow. Enjoyed this article? 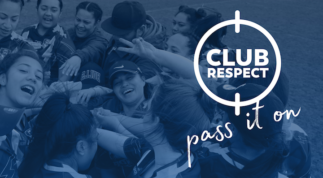 Register now for the launch of Club Respect, a practical digital tool kit designed for sports clubs of all shapes and sizes to reduce violent and abusive behaviour. Happening 5:30-7pm Wed 24 Oct at AAMI Park, Melbourne. Free event, registration essential. 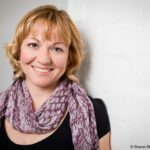 Nicole Hayes is an award winning author, and one-sixth of the groundbreaking all-female AFL podcast and radio show, The Outer Sanctum, which was awarded the 2018 Australian Football Media Award for coverage of the AFLW. Her books about football include, The Whole of My World, a Young Adult novel, and non-fiction books for adults and children. 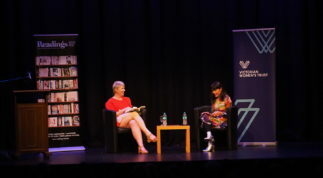 Her YA fiction includes, One True Thing, winner of the Children’s Peace Literature Award, and A Shadow’s Breath, shortlisted for the NSW Premier’s Literary Award. As a freelancer, she’s contributed to The Guardian, The Griffith Review, and various writing journals, and runs writing workshops for adults and young people. She is a #LoveOzYA advocate and a Stella Prize in Schools Ambassador. You’re invited to the launch of Club Respect, a new practical digital tool kit designed for sports clubs to reduce violent and abusive behaviour. Feature local sporting legends, an exclusive preview of the new Club Respect digital platform, plus solid gold tips from the project leaders themselves. Not to be missed!